Denso, which is the second largest supplier of mobility products in the world has announced that it plans to invest about USD 1.6 billion over the next three years to promote aggressive development and production of electrified automotive products, systems and technologies. The investment would cover the period from FY2018 to late FY2020 and will help Denso to achieve its long-term goal of creating and inspire new value for the future of mobility. Denso is determined to enhance its performance in the area of electrification. Commenting on the plan, Yukihiro Shinohara, Senior Executive Office of Denso said that the company is committed to advancing automotive innovation and anticipating the changing needs of its customers in the transportation industry. With electric vehicles gaining in popularity across the globe, Denso will focus on strengthening its ability to develop and produce them in cater to the rising global demand for automotive electrification technologies and products. To expedite business execution related to electrification, Denso plans to set up the Electrification Innovation Center at the company’s Anjo Plant in Anjo, Aichi, Japan, in May 2020. The Center will be engaged in advanced R&D, development and testing of prototypes, and the launch of newly developed automotive electrification products, systems and technologies for mass production. With the recent decision that Denso and Toyota Motor Corporation (Toyota) have made to consolidate their electronic component operations within DENSO, Denso will gain control of Toyota’s Hirose Plant in April 2020. Denso will use the Anjo and Hirose Plants for the safe, efficient and sustainable production of components related to electrification. The superior production lines established at these two factories will then be implemented in Denso’s manufacturing companies and affiliates across the globe. 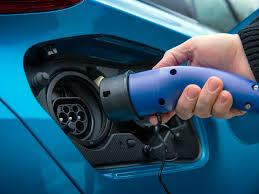 Denso has been engaged for many years in the development and production of key products for electric vehicles, including inverters and motor generators used in hybrid vehicles and battery packs for mild hybrid vehicles. It played a critical role in pioneering the Prius. Recently, Denso collaborated with startups to develop software-based solutions to advance innovation in electrification, as well as automated driving, connectivity and shared economy.